How to Make Your Brand Content Successful? What makes Brand Content Successful? Digital is what has become the daily need for today’s generation. Even when it comes to creating brand awareness, digital marketing plays an important role. It helps to develop a direct relationship with their targets via social networks and more often choosing no longer focus on traditional media like as radio. Slowly, brands are trying to become visible to develop interest and draw the attention of people. Hence, if the return on investment is the major key point indicator then it is one of the important things to be achieved. So, what exactly brand content is? Brand content is a completely new genre that combines brand communication logic with presentation of traditional media offer so as to answer the issues of developing engagement. 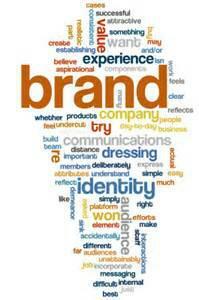 If we say in logical manner then brand content is the one that is created for and by the brand. This content has a natural link that shows the role of the brand in order to increase its territory by exchanging its views and ideas as well as to develop relationship, support and engagement lead. On a global scale, content marketing is always here and will always remain here. 70% marketers produce more content then they used to during previous year and nearly 80% of CEOs believe that content is the only way to digital marketing. Here, we have described some characteristics that will show you what exactly successful brand content is? Content must be interesting: Here, we need to ensure that the audience is primarily behind the quality of the content and not for the brand. The content must be based on the basic brand qualities and above all it must target to the peculiar product as well as the audience. Content must entertain instead of advertising product: For a successful brand content, it must have the ability to entertain people and force them to get engaged while discussing the brand with them. Yes, it should advertise the brand but also entertain people. These are not destined to be neutral. It is necessary to create stories while being consistent with brand values. Develop engagement: The main aim of brand content is to develop brand relationship between brand and its audience. Hence, it is necessary to develop the content which people love to share and fit into a social system which makes sure that internet users exchange the brand’s message as well as content. Offer free content: No access fee to read the content must be applied as the main aim of the content is to get more attention from the users as well as paid content once it has reduced the scope. Brand content must be able to reach its audience easily when it is seen on the video platforms as well as other media portals. These characteristics are essential but they don’t actually determine the success of any brand. Hence, one can select the required characteristics and ensure what it describes success for the company. So, before actually increasing the brand’s presence on the internet make sure to rule out the campaign with properly defined objectives. For more techniques about maximizing the brand awareness on internet, stay connected with Platinum SEO, SEO Company Perth.